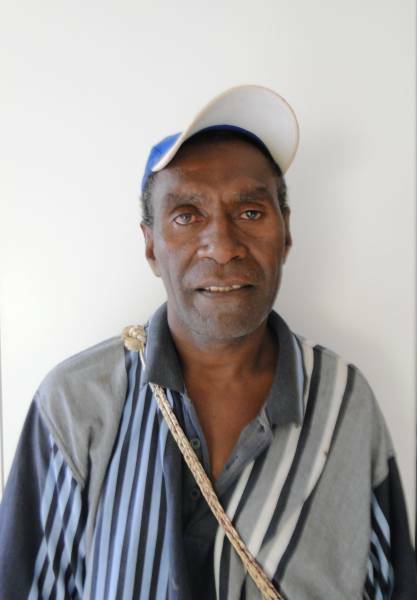 Christophe Tevi is born in 1968 and comes from Anamalabua village in the North of Pentecost island. Since his childhood, Chris likes drawing and when it takes part to a painting competition in is island, he wins the first price. Then, he works between Luganville and Port-Vila, when he travels to Port-Vila he can see who the artistic world his changing. In 2002, he took a personl decision to "get back to freedom". He decide to move back to his home village in order to focus on his artistic creation. Nature always been his main source of inspiration but his culture now take over in his work. He wants to encourage the Ni-Vanuatu culture, especially young people to know and promote it.